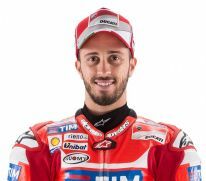 Andrea Dovizioso powered to a third place finish in the German Grand Prix, which was held today at the Sachsenring circuit. His team-mate Andrea Iannone finished the race in fifth place. The ninth round of the season got underway following copious morning rainfall and all riders opted to start with rain tyres on the wet track surface. 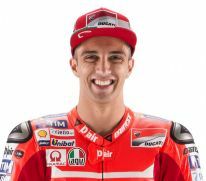 When the lights changed, Dovizioso got off the line well and moved into the lead on the third lap, but he was then passed by Danilo Petrucci (Pramac Racing Ducati), whom he followed until lap 10. After the crash that put an end to Petrucci’s race, Dovizioso took over the lead again followed by Rossi, and stayed in that position until lap 22. The next time round all the riders in the leading group entered the pits to change bikes, seeing as the track surface was drying, and the Italian returned to the track with a rear slick tyre and a front intermediate, finding himself behind Redding. Dovizioso was then passed by Crutchlow but on the last lap he managed to overtake Pramac’s British rider and finish the race in third place. 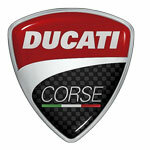 It was a bit of a come-back race for Andrea Iannone, who started from the third row like his team-mate. The Italian, who crossed the line on the opening lap in seventh place, then decided to come into the pits to change bikes at the end of lap 13, while in eighth place. On returning to the track with intermediate tyres, Iannone moved back up the field lap by lap, and he eventually took the chequered flag in fifth place. 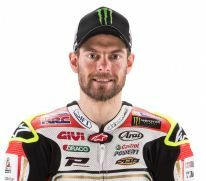 Cal Crutchlow sealed his first podium position of the season with a brilliant ride to second place in treacherous conditions at the Sachsenring in Germany. The LCR Honda rider had shown himself to be quick in all conditions over the weekend, but had frustratingly missed out in qualifying, and so started the race down in 13th. The Brit had to set about his recovery in the rain, with a fully damp track meaning wet tyres were the only choice, however having gone with the harder front option, it took time for him to get up to speed. Once the surface began to dry, he soon started to pick his way through the field and as riders began to make their bike changes, Crutchlow lay in third. Cal finally decided to enter the pits to switch onto a bike fitted with slick tyres with seven laps to go, and emerged in fifth. After scrapping hard with Andrea Dovizioso, he soon made it back up to third, before sliding past his compatriot Scott Redding with a lap to go. He safely crossed the line triumphantly in second place, to seal his best result as an LCR Honda rider so far, and celebrate with the podium champagne for the first time this season.